There are many attractive towns in Manitoba, and Morden is one of them. This town, located about seventy-five miles southwest of Winnipeg on Highway #3, has much to offer the visitor. It is the site of one of the federal government experimental farms, where a great deal of research has been conducted regarding hardy fruit-growing trees for use in prairie gardens. The annual spring blossom Sunday is an outstanding event, followed in the fall by the Corn and Apple Festival. But Morden has several other attractions which might appeal to the historian in particular. The Morden region of Manitoba is favoured with fine stone which can be used in building construction. At the time of early settlement there were Scottish stone masons in the district and they built several attractive stone buildings. Morden also possesses examples of Victorian mansions built of wood. 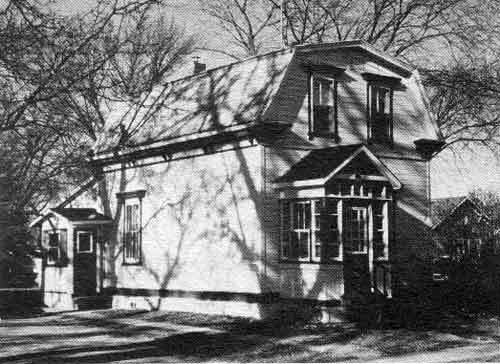 A recently formed group, the Morden Historical Society, has taken on the task of making the community aware of the attractiveness and value of many of these older buildings. In 1982, on the occasion of the town’s centennial, this Society published a booklet entitled Morden’s Mansions. 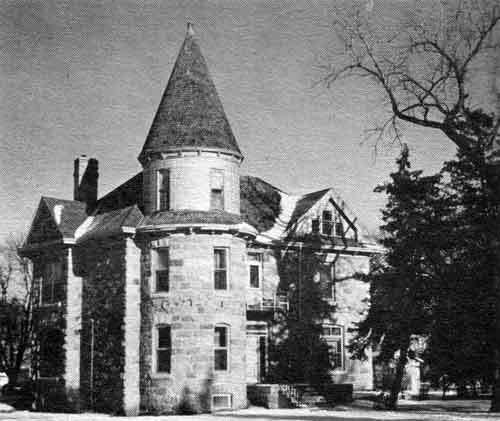 The majority of the buildings illustrated were built around the turn of the century. 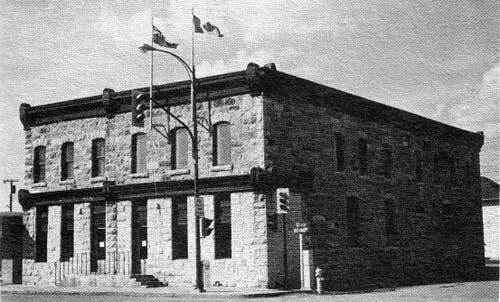 The town was obviously a thriving commercial and administrative centre; homes, commercial establishments, and public buildings such as the Court House made use of the services of the stone masons to construct sturdy but attractive structures. Most of these feature a nice attention to detail, and two of the houses are truly grand in proportion and style. In the excitement of finding such pleasant and distinctive stonework, the visitor must not overlook several very well-preserved Victorian houses with their charming verandahs and crowning wrought iron. Some of the wooden buildings were moved into Morden from other town sites as the railway route through this area was decided upon in 1882. 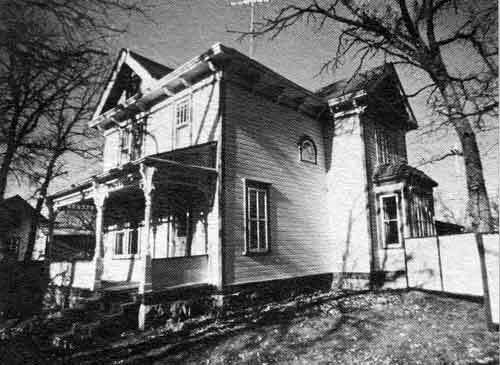 Nelson, or Nelsonville, had previously been the site of the Land Titles Office, but the majority of the townsfolk moved their houses to Morden when their original settlement was bypassed by the railway. The Historical Society, with the proceeds from the sale of their booklet, have begun a plaquing program. The first of the plaques can be found on a cairn in Morden park. It commemorates Fort Pinancewaying, built by the North-West Company trader Alexander Henry, who traded in the district around 1802. In his journal, Henry describes the first use of Red River carts in freighting to this area, which was of course not on a major water route. Some of the most interesting historic buildings are sited on the central intersection of 8th and Stephen. The present Land Titles Building was originally Meikle’s General Store and opposite, the Heckels Block originally had a second storey which accommodated Alexander Hall. These are both stone buildings. 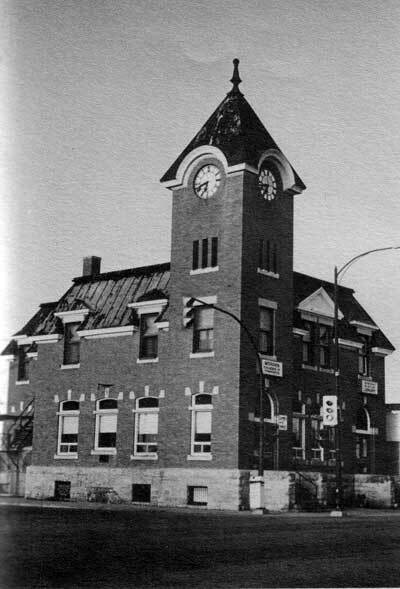 Across Stephen Street, on the southwest corner, is a distinctive red brick Post Office with a 70-foot clock tower. Built in 1913, it now houses the Library and the Chamber of Commerce. Another attraction in the town is the Canadian Fossil Discovery Centre (CFDC) located in the lower level of the Recreation Centre. Early on, local Bentonite miners discovered fossils along the Pembina Escarpment in the course of their mining and as a result, the CFDC now houses the largest collection of marine reptile fossils in Canada. Included in this collection is the largest Mosasaur found in Canada; “Bruce” at 43 feet long. The CFDC is dedicated to the fossil preservation, research and learning experience. Public Fossil Dig Tours are offered during the summer months where many new specimens are found each year. It has always been a goal of the CFDC to educate the public on Manitoba’s fascinating prehistory and create a memorable experience at the same time. We thank Yvonne Peters, Administrator of the Canadian Fossil Discovery Centre, for providing an updated description of her facility, 23 June 2008.